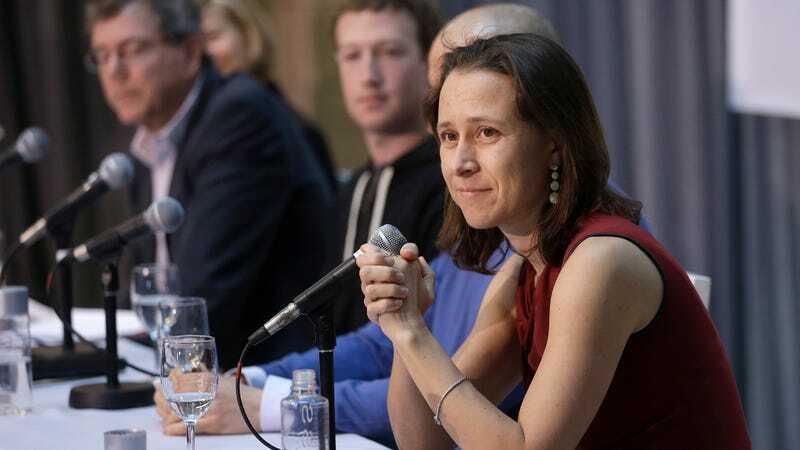 In a provocative opinion published Monday in STAT, 23andMe CEO Anne Wojcicki argues that home DNA test customers don’t need experts to help them interpret genetic health risk reports. Wojcicki compares her company’s health reports, which tell people whether they are at risk of developing certain diseases, to at-home pregnancy tests. But there is one fairly large problem with that comparison: Unlike pregnancy tests, which tell you simply whether you are pregnant or not, a test for genetic risk is quite complicated. Take 23andMe’s test for BRCA variants, which the FDA recently approved. The new test will analyze DNA for three of the more 1,000 known BRCA mutations that indicate an increased risk for breast and ovarian cancers—mutations that are only common in people of Ashkenazi Jewish descent. 23andMe had good reasons for making those variants its debut cancer-risk test; they are extremely well-studied, and women with one of the variants have a 45 percent to 85 percent chance of developing breast cancer by age 70. But when the test was announced, scientists and doctors spoke out, concerned that the test would give women the “false illusion” that they are not carriers, when in fact they may have any of hundreds of known mutations. And if the results indicate a high risk of cancer, that, too, can be complicated. In other words: It’s a lot more complex than simply whether or not you have a certain genetic variant. Wojcicki makes the argument that 23andMe’s test expands access to risk testing. But many scientists and clinicians disagree, arguing that information is only empowering if people know what to do with it. “While I completely support giving individuals a pathway for directly obtaining access to their genetic information, it is foolhardy to pretend that the lay public will know how to digest and act on that information on their own without access to a genetic counselor or physician,” Anirban Maitra, the scientific director at the Sheikh Ahmed Center for Pancreatic Cancer Research at MD Anderson Cancer Center, told Gizmodo. The result reports that users receive, he said, can’t possibly capture all the nuance of genetic risk. If you have the BRCA variant in 23andMe’s test, for example, you are at higher risk for pancreatic cancer. At the same time, he said, only 10 percent of those people ever develop pancreatic cancer. “How are these nuances going to be conveyed by a 23andMe paper report without someone credentialed in taking detailed family history, and understanding of other modifiable risk factors like smoking?” Maitra said. Others expressed skepticism of Wojcicki’s point of view on Twitter. Stanford bioethicist Hank Greely felt similarly. But Eric Topol, a geneticist at Scripps Research Institute, said he felt Wojcicki’s comparison was apt. The important point here, he told Gizmodo, is that consumers are frequently much more savvy than doctors give them credit for. For its part, 23andMe does encourage consumers to speak to a doctor if a troublesome health condition appears in their results. And the need for genetic counselors to help interpret such information has led to a smattering of startups hoping to fill that void. Wojcicki argues that 23andMe health-risk tests will be life-saving for some people who might not have already known they were at risk for developing deadly health conditions. She cites a internal research and a Nature Biotechnology letter to make the case that consumers can handle genetic health risk information. The Nature Biotechnology study found that in general, people acted rationally in response to their results: If there was something concerning, they followed up with a doctor. But direct-to-consumer genetic testing is a young field, and that study was the first of it’s kind. It ultimately concludes that to really understand how people’s health behavior changes in reaction to genetic tests, we need a lot more research. Update: This story has been updated with comment from Hank Greely.